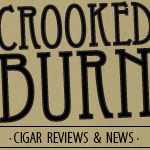 Today's Pete Johnson pre-release cigar review is the first dive into his main bread-and-butter Seleccion de Cazador line, more commonly known as brown label (no reserva). Other than some of Pete's special releases, the brown label is what most Tatuaje cigar fans reach for first when browsing online or at their local B&M. I put myself into that category, as I prefer the brown label sticks, but they tend to be a little tough on the budget. One main difference between these brown label cigars and others in the line is these are being produced at the My Father factory in Esteli, Nicaragua and not in Miami. I was told that the Miami factory is already producing at 100% capacity, so any new projects would not be able to be made there. I love the way the classic Tatuaje brown label line looks. The simple bands and the somewhat rustic wrappers make me think of the old-style sticks you read about in Havana cigar books. My brown label #7 looked exactly the part. The wrapper was a consistent medium brown color with lots of little veins. None of these veins really stood out over another, but they gave the cigar a very natural look. I pinched the cigar from head to foot and, as you would expect from a Johnson/Pepin stick, there were no soft spots. The pre-lit aroma was subtle and smelled of graham cracker, with some more sweet tobacco scents near the open foot. The triple cap clipped easily and the cold draw had a strong taste of cedar. My Tatuaje brown label 7th opened up a little differently than I expected. The flavors I got from the first third of the cigar were a mild cedar and sweet honey on the front, with just a small kick of Nicaragua black pepper on the finish. The finish was very clean and didn't leave a film or any unpleasant feeling in my mouth. I was expecting more of the pepper that you normally get with brown label sticks, but it was only coming in very slightly. It was definitely there, but not in my face or exploding on my palate. The burn line on this cigar was one of the darkest I had seen in awhile. You can see in the picture how it almost looked like a woman's eyeliner surrounded the cigar right where the wrapper met the ash. Speaking of the ash, it held on for just over an inch before crashing into the ashtray by itself. Don't go for extreme ashes with this guy or you'll be dusting yourself off in no time. The body was in the medium-full range. The second third started out pretty much the same way it had been smoking in the first third, except for the honey flavor. The sweet honey I had tasted before was now more of a undefined natural sweetness. If I had to label it, I would say it was more of a raw sweet tobacco flavor, but even that might be off the mark a little. If anyone reading has a better term, I'm all ears. The finish on the cigar was still a mild black pepper that, after resting on my pallet between puffs, turned into more of a cinnamon taste. The burn was still spot on and body rested more in the full range. Toward the end of the second third, I had another flavor change on the front end of the profile. The cedar notes backed off and were replaced by a distinct roasted pecan taste. This change up was very interesting and was a glimmer of what was to come. My Tatuaje brown label 7th's final third is where things got back to the classic. The flavors in the last third ramped up in strength and were now producing the classic Tatuaje brown label profile that a lot of us know and love. The front end was much richer, creamier, and darker (if you can use that for a flavor) and tasted like roasted nuts mixed with earthy notes. The finish was biting with delicious strong black pepper that coated my palate, lasting well over the time between normal draws. This was more like what I was expecting the stick to taste like the whole way through, but it seemed it wanted to show up to the party fashionably late. The cigar never got hot or harsh, and the body was definitely in the full area. My final thoughts on the Tatuaje Seleccion de Cazador 7th (Pre Release)? The cigar started out good, but different than what I normally think of brown label Tats, and then grew into the monster that I love. If these sticks keep this somewhat milder start, I think a lot of people will be wanting more spice. I like the way the stick really turned it on in the final third and gave a grand finale. It let my palate not be overrun from the beginning and pick up more of the sweet, more subtle flavors. Would I buy it again? For the size alone, I would grab a few more of this stick. Petite robusto and Corona Gorda sized cigars are my two favorite sizes. It's nice to have at least one of them now available in the brown label. Would I buy a box? I wouldn't buy a box at this time because there are other sticks in the new releases from Pete that I have enjoyed more. But in the future, I could see a box purchase no problem. I just bought the torpedo yesterday. I added it to my collection in my humidor. I want to smoke it but there are so many other ones I have to get to before this. The review sounds like its going to be a true winner. My only encounter with a Tatuaje is the Tatuaje Tattoo Universo, which I thoroughly enjoyed, flavorful but a medium strength cigar, I happen to like full flavor, full body and full strength. I can the sacrifice the strength for full flavor and body but I still love the pepper! !